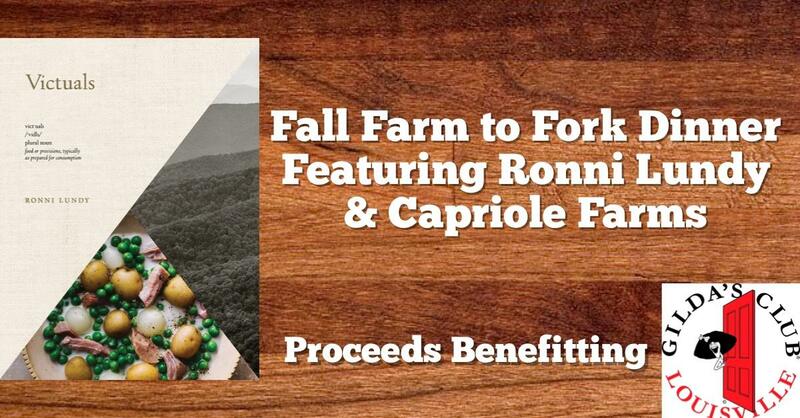 Chefs Anoosh Shariat and Mark Ford will welcome James Beard award-winning cookbook author Ronni Lundy to their Anoosh Bistro kitchen on Thursday, September 27 to present an Appalachian-inspired farm to fork five-course dinner. Shariat, Ford and Lundy share a passion for helping those with cancer and will be donating $25 from each ticket sold to Gilda’s Club Louisville. The dinner will begin at 6 p.m., and cost for the five-course meal is $125 per person plus tax and gratuity. Optional wine pairings are available for an additional $35 per person. For reservations, call 502-690-6585. Capriole Goat Cheese will be a featured ingredient with a course prepared by founder Judy Schad’s granddaughter Piper Schad. 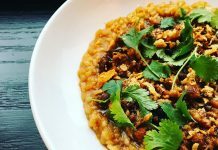 The other courses prepared by Shariat and Ford will be inspired by Lundy’s “Victuals” cookbook and will highlight the best flavors of the season. “Victuals” is an exploration of the food, people, and places of Appalachia. It received James Beard Foundation book awards for both American Cooking and Cookbook of the Year in 2017. Lundy, a native of Corbin, will have her cookbook available for purchase and signing that evening. This is the second benefit that Anoosh Bistro has hosted for Gilda’s Club Louisville which offers free programs and priceless support to families and individuals touched by cancer. Next articleCountdown to Bourbon and Beyond!